Retro Promenade, the group behind the fantastic The Next Peak trilogy, have curated yet another themed retrosynth album that should be something you immediately download. This time they’ve gathered a ton of different artists together to pay homage to the master of horror himself, John Carpenter! 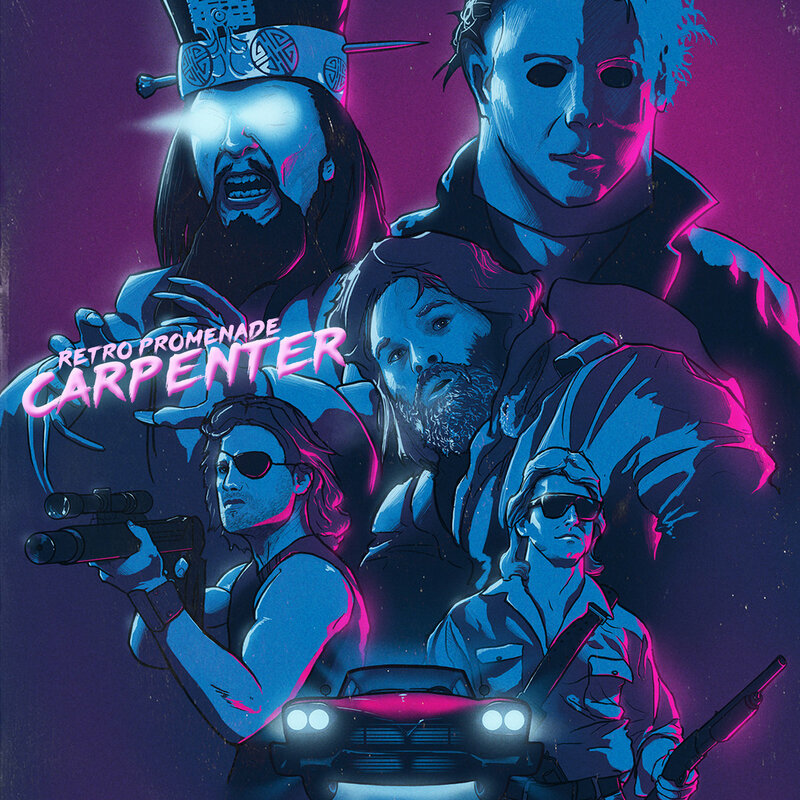 Simply titled Carpenter, the 20 track album features original tracks from amazing artists such as Lazerhawk (if you haven’t gotten Skull & Shark yet, what’s wrong with you? ), Gunship (the group behind this incredible music video), VHS Glitch, and a whole lot more. These artists have written original songs based off of multiple John Carpenter films, including Halloween, Big Trouble In Little China, They Live, Christine, The Thing, and more. Visit Bloody Disgusting for a link to the download! Did I hear Highbury Cemetery won some MHC tickets on Haunter's Hangout last night?? !